Hello, hello! 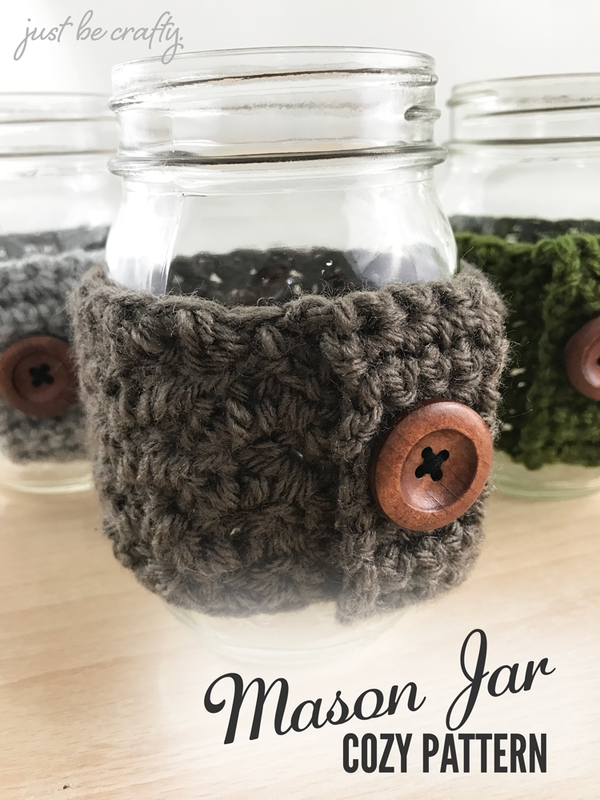 I have a brand spanking new pattern to share with you today, the Mason Jar Cozy Pattern! My husband has actually been requesting these for a while now and I finally sat down and put a few together. Because I so frequently leave my travel mug at work, Trisden came up with the great idea to transport coffee in our mason jars. This is a great idea as they’re the perfect size and have a lid but it’s hot as heck to carry around! 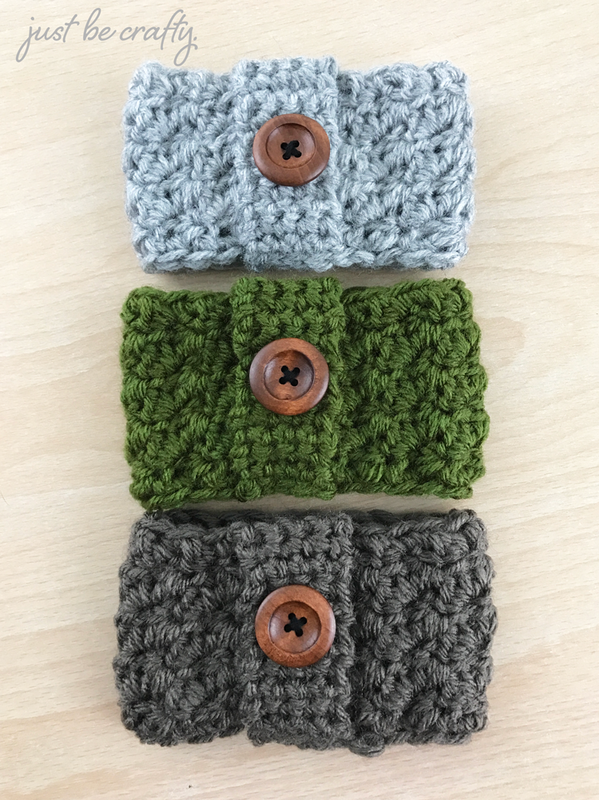 With this in mind, Trisden had the brilliant idea for me to whip up cozies and thus these little cuties were formed! 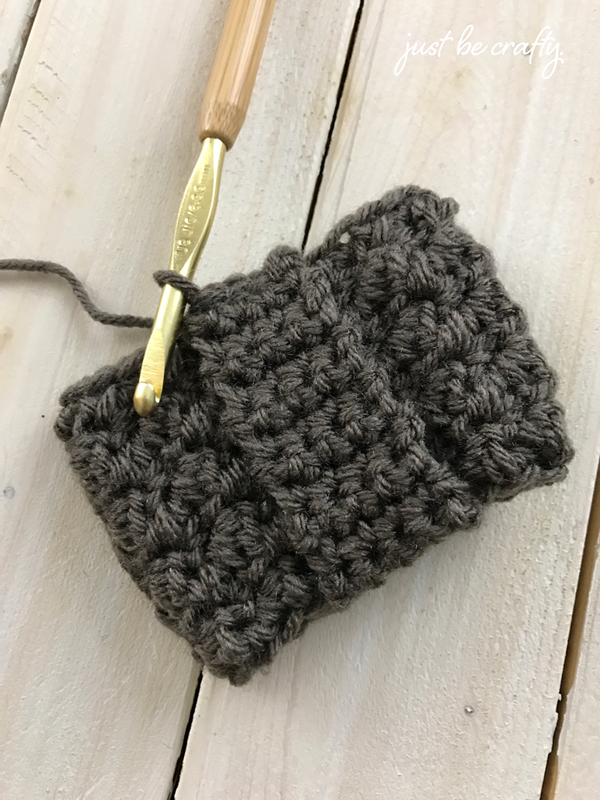 See the pattern below to make your own, and transform a regular old mason jar into a beautiful hot beverage mug! 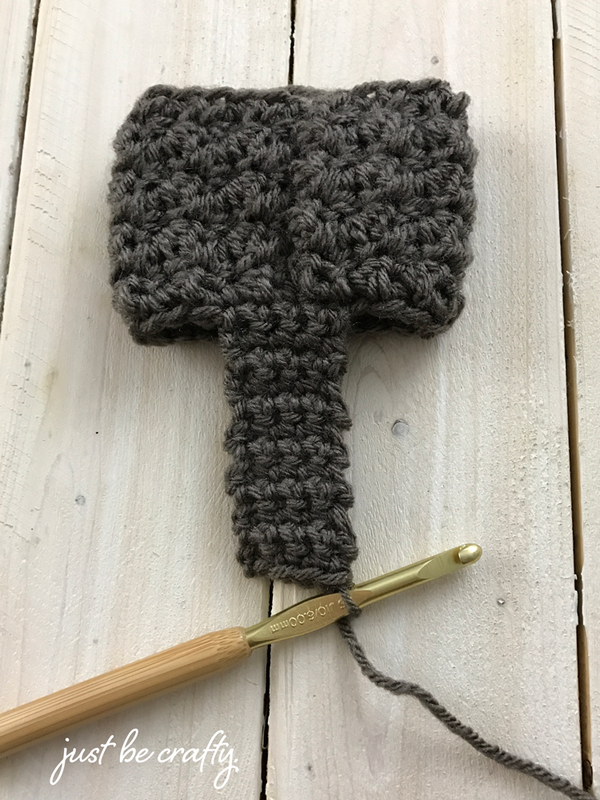 A printable PDF of this pattern can be purchased here. 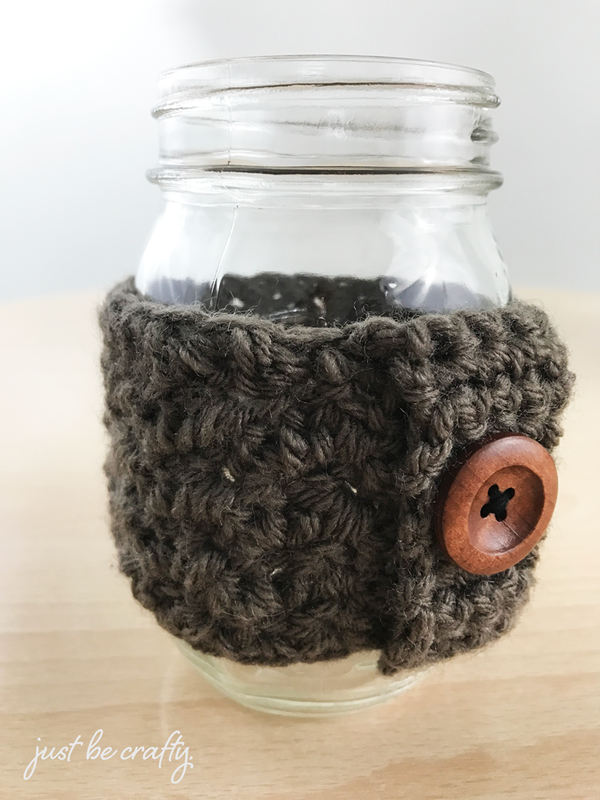 This cozy is designed to fit the standard Ball Mason Jar. To ensure your cozy fits your jar, I recommend frequently wrapping your piece around the jar to make sure it is not too big. 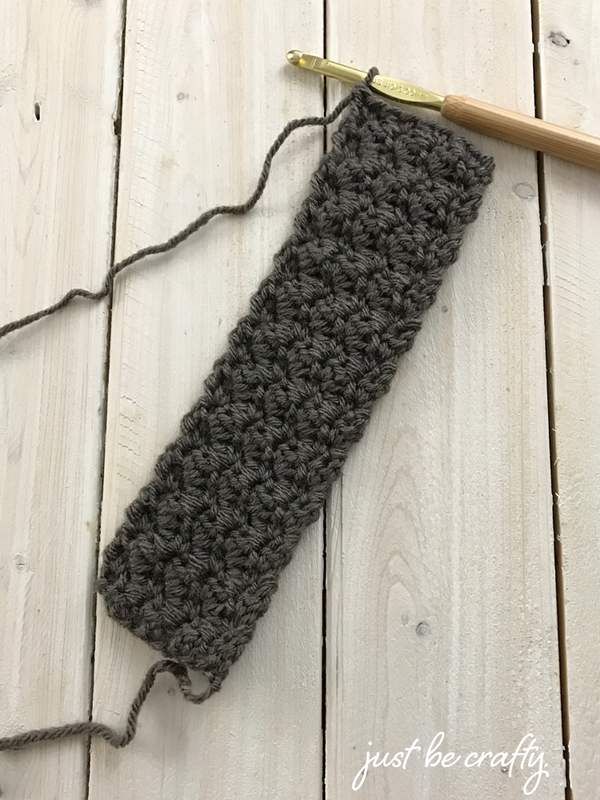 You may end up needing to to take away a couple rows or adding a couple rows to get the right fit. 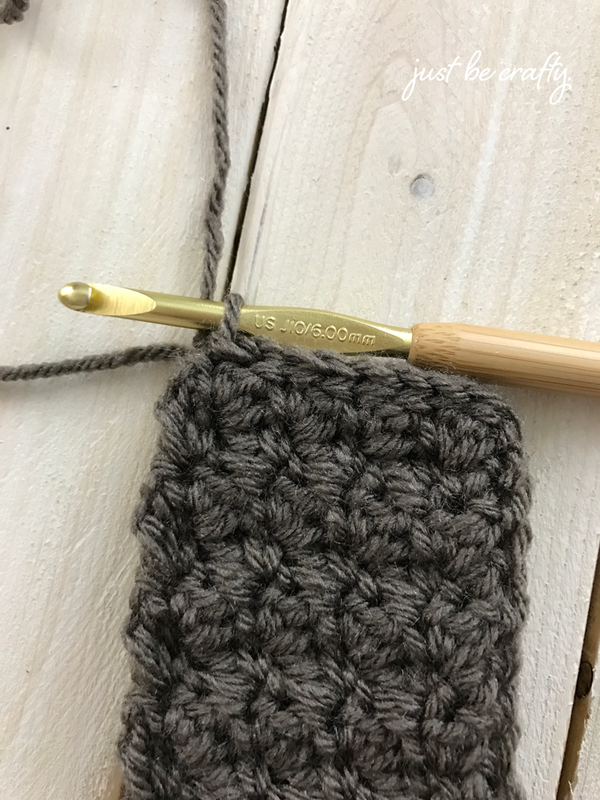 Row 1: In 2nd ch from hook, make a sc, and dc in next ch; keep alternating sc and dc in each ch until you reach the end of the row; ch1 and turn. 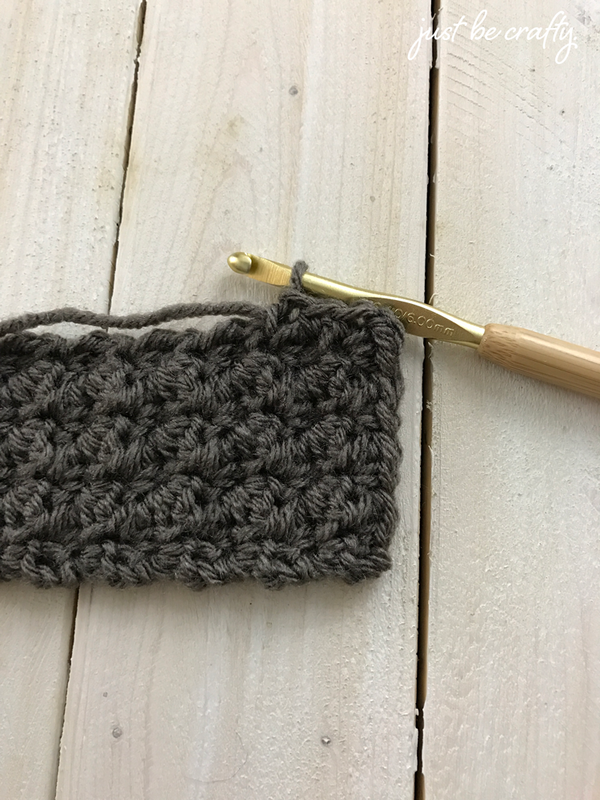 Row 2: skip the 1st stitch, sc AND dc in next stitch, *skip a stitch, sc AND dc in next stitch; repeat from * to the end of the row; ch 1 and turn. 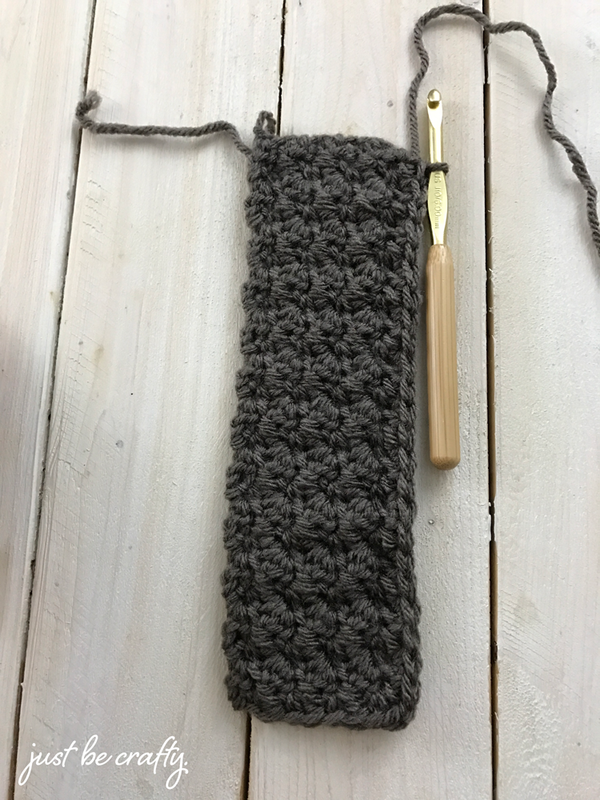 Below is what your piece will look like at the end of row 24. Ch 1, sc in each row along the side of work. See below to get you started. You should end up with 24 (or about 24) sc’s along the side. 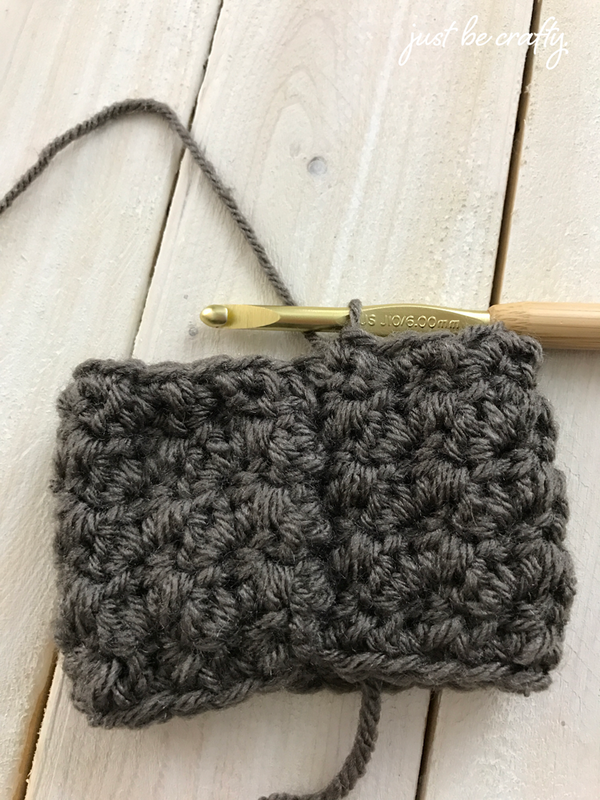 Below is what your piece should look like after single crocheting along the side of the work, creating the bottom edge. You should now be at the “starting end” (aka row 1) of the work. 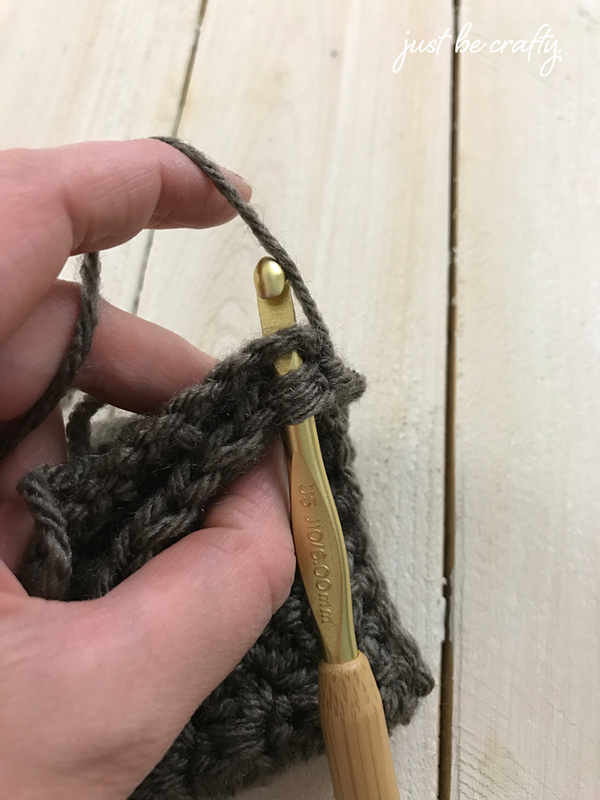 Fold your your piece in half by taking the “finishing end” (aka your last row worked) and laying it on the “starting end” as demonstrated below. This will be the inside of your cozy. 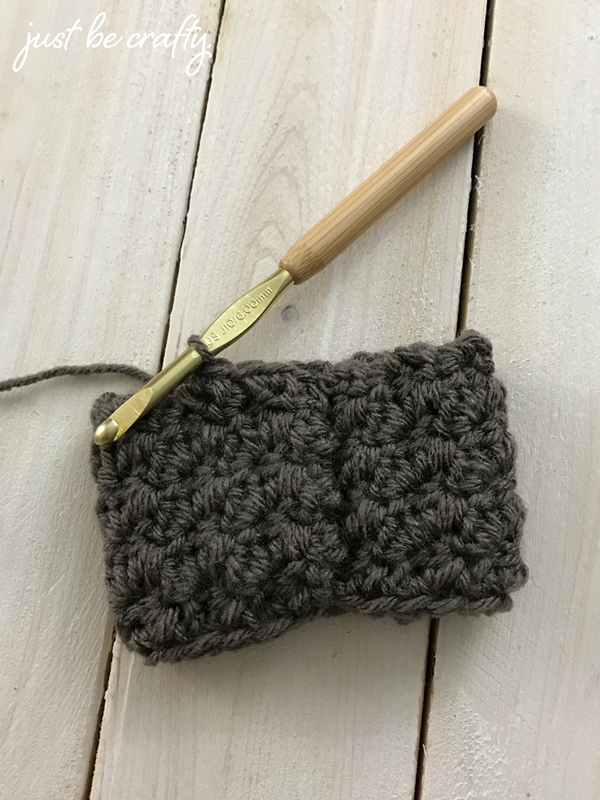 Turn your cozy right side out (so that the seam you just slip stitched is on the inside of the cozy). 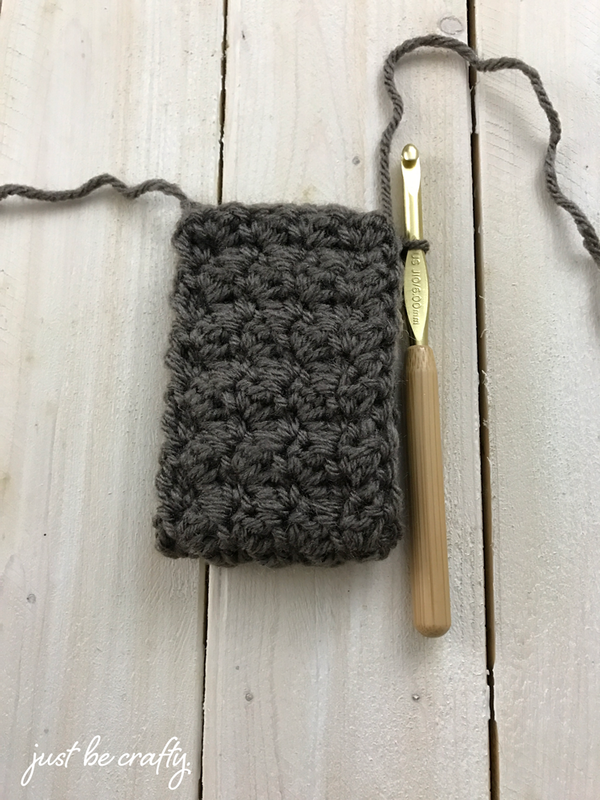 Ch1, sc in each row along the edge of cozy to form the top edge of the cozy. Sl st with the first sc of the round to join round. Sl st into next stitch as well. Ch 1 and turn. 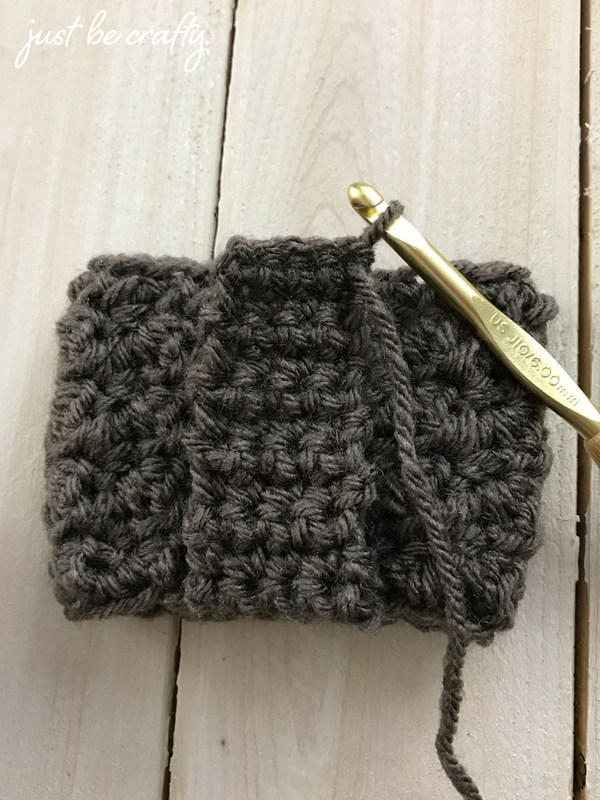 Line up the end of the flap with the bottom edge of the cozy so that the flap is straight. Line up stitches and sl st the flap to the bottom edge of the cozy. 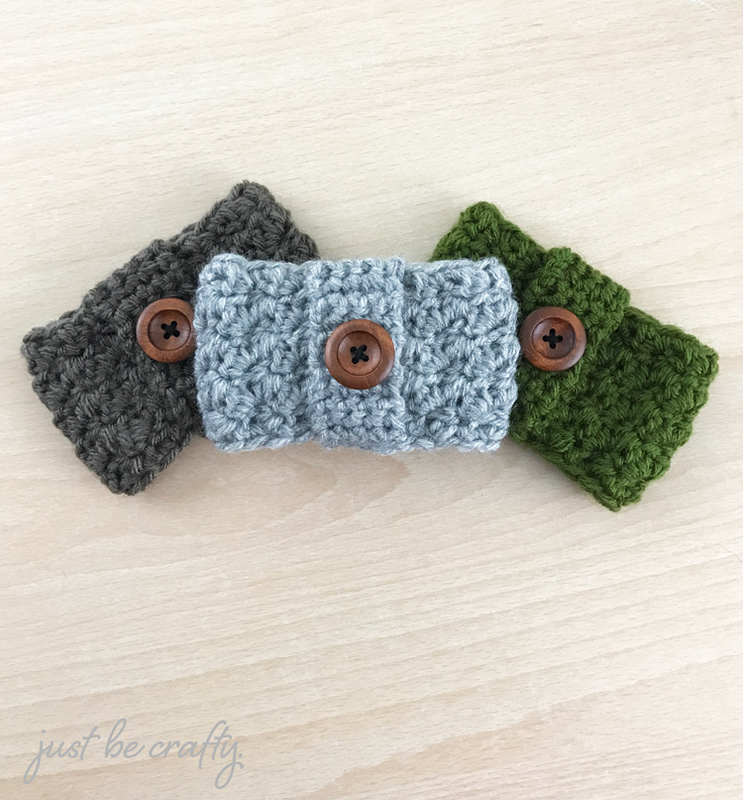 Secure and cut yarn. Using embroidery floss and a sewing needle, carefully stitch on button through both the flap and body layers.